If you're like most parents, you want to ensure that your child never gets mistreated or bullied. You may have experienced bullying on the playground or on the field at some point in your life, and it's only natural to want to protect your loved ones. 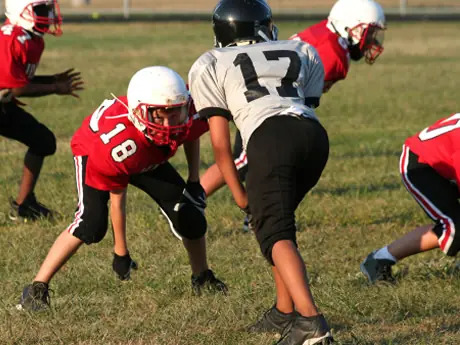 While bullying is still a problem in school and in youth sports, you can educate yourself and empower your children to cope with and prevent negative behavior. When parents suspect that their child has been bullied, they usually want to confront the other parents. Unfortunately, some parents completely deny their own children's behavior, and this can make it difficult to communicate and resolve the problem. It's important to educate parents about the effects of bullying, even if their own children are the culprits. Coaches should also be educated so they can work with parents to prevent harmful behavior. Coaches may also wish to talk to guardians about the long-term implications of bullying. A 2013 study published by the Journal of the American Medical Association noted that the effects of childhood bullying last well into adulthood. In addition, victims may experience serious psychological problems, such as depression, loneliness and anxiety. Bullying is not always easy to identify. It's not just obvious behaviors like physical intimidation or hazing. While these kinds of stories are the ones that make the news, they're only possible in a culture or institution that allows bullying as a whole. Bullying doesn't usually happen all at once. For instance, a team's star player may tease a new, talented teammate. While this might be subtle at first, other children may join in, simply because they want to fit in with their peers. What begins as simple name-calling or a minor confrontation can escalate into a group-based trend that targets a single person. In order to stop bullying, coaches, parents and children need to learn to recognize these behaviors. Alan Rosinski is a writer at Cisco Athletic, a Maryland-based athletic apparel manufacturer that designs, produces, and distributes custom uniforms for 18 different sports including basketball, soccer and baseball.